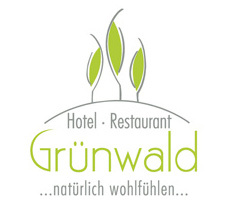 Hotel Gruenwald is located just west of the town of Ansbach, in the Frankonian region of the state of Bavaria. We are situated on a lovely, quiet hillside between the towns of Ansbach and Schalkhausen. www.stadtplan.net (Click “firmenregister” and search for either “hotel grünwald” or our street, “am bocksberg.” There are also maps of Ansbach at www.ansbach.de (German version only: “Einkaufen und Parken”). You will be driving on the B14 motorway. Continue toward the city center (“Stadtmitte”) of Ansbach. At the castle Markgräfliche Residenz, turn right (if you’re coming from Würzburg) or left (if you’re coming from Nürnberg) onto “Promenade,” still in the direction of the city center (“Stadtmitte”). As you continue on “Promenade” through Ansbach (follow “alle Richtungen”), the street name changes to “Schalkhäuser Strasse” and then to "Schalkhäuser Landstrasse.” Within approximately 5 minutes (and after a big intersection) you will see the “Beginning of Town” sign of Schalkhausen. Continue until you see the “Hotel Grunwald” sign posted at “Sonnenstrasse,” the first big street that leads to the right. Turn right onto "Sonnenstrasse” and then just follow the hotel signs until you reach us - even though it might look as if you’re heading right into the forest! From Nürnberg: Take the exit “Herrieden” from the Autobahn A 6. From the “Herrieden” exit, follow the road called “Feuchtwanger Strasse” into Ansbach. After entering Ansbach and passing an Esso station on your right, there will be a sign pointing you toward “B14 Nürnberg-Würzburg.” Get in the left lane and turn left at the lights onto “Hohenzollernring.” The road leads over a hill and past a church. At the next light turn left again to the “Schalkhäuser Strasse" toward Schalkhausen. After passing the “OBI,” you will see the “Beginning of Town” sign of Schalkhausen. Follow the street until you see the “Hotel Grunwald” sign posted at “Sonnenstrasse,” the first big street that leads to the right (there’s a guesthouse at the corner named “Goldener Stern”). Turn right onto "Sonnenstrasse” and then just follow the hotel signs until you reach us - even though it might look as if you’re heading right into the forest! There are hourly and half-hourly connections to Ansbach from Stuttgart, Würzburg and Nürnberg. From the Ansbach train station, you can take a taxi to the hotel (the ride is about 10 minutes) or, during the day, a bus (Nr. 758; get off at the bus stop “Bocksberg West”).